Preheat the oven to 225°c, 200°C with fan. Gut the sea bass and remove the scales, rinse and dry well. Wash the tomatoes and potatoes and dry them. Cut the tomatoes in half and the potatoes into chunks of about the same size. Salt the sea bass with some of the salt and put the sprig of rosemary and the garlic clove inside the fish. 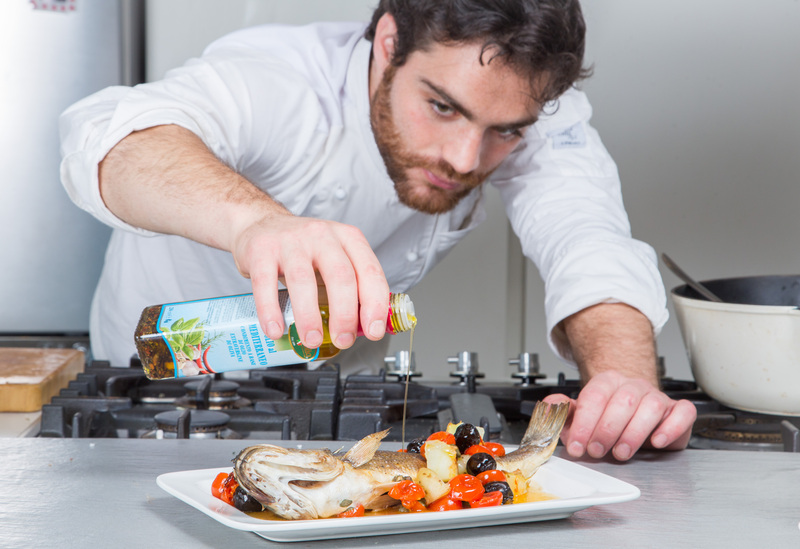 Put 15ml of Aromolio Mediterranean oil in a pan and place the sea bass in the middle. Use another 15ml of oil and the remaining salt to oil and salt the tomatoes, potatoes and olives in a bowl. Put this around the sea bass and finally add the capers. 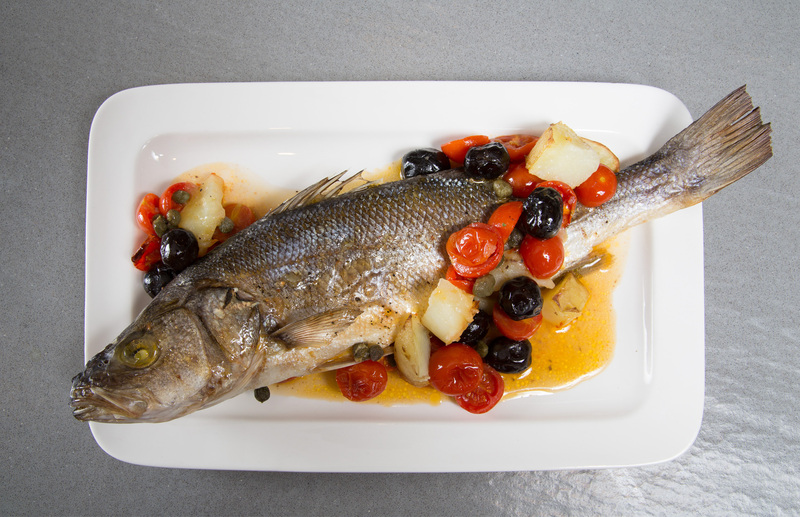 The sea bass is cooked when the eyes are completely white and the gills have turned from bright red to purple/brown. 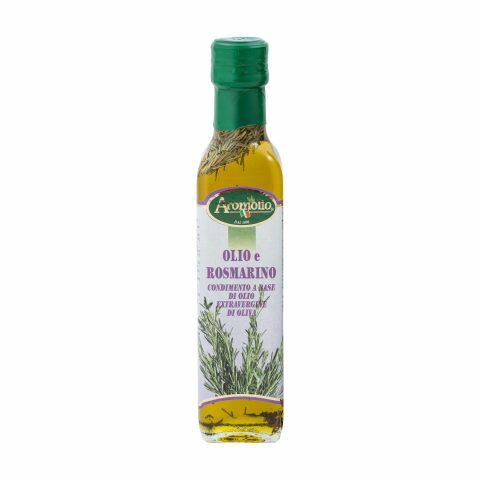 Serve the sea bass in the pan or remove the bones and serve on plates with its side dish and finish with the remaining Aromolio Mediterranean oil.